The WonderCon panel introduced Book Two of the show, including a sneak preview of the first episode which we can’t in good conscience spoil here. You can, however, get a sense of the obstacles to come by watching the trailer below. It’s clear that the mysterious Russell (portrayed by Teen Wolf favorite JR Bourne) will be both a benefactor and a sinister force in Season 6, especially with the so-called “eclipse induced psychosis” going around – but little else is evident, and the cast and crew weren’t very forthcoming. They did provide a few tidbits, though. For example, creator Jason Rothenberg explained that “whenever the suns come in alignment, the plants give off a toxin that drives everything on the planet insane,” which is the basis behind the frightening behavior referenced in the trailer. Generally speaking, this season was the most difficult for him to build precisely because the show was starting from scratch with an entirely new world. “We had to essentially re-pilot it in the time that you would normally have to just start,” he added. Speaking of a new world, one of the fan questions actually led to speculation that a spin-off is in the works. In response to what spin-off ideas interested them, Richard Harmon suggested “one where… the beginning of the spinoff is the first bomb going off. And everything of like the people who become the Grounders, the people who survive, them dealing with kind of everything. I think that would be spinoff I’d want to see.” Rothenberg followed this answer up with a metaphorical bomb of his own. “We may be working on something. Can’t talk about it,” the showrunner teased. “I’ll probably get in trouble for saying that.” If he does get in trouble, it certainly won’t be with fans who are clamoring for more of their favorite sci-fi dystopian characters and situations. 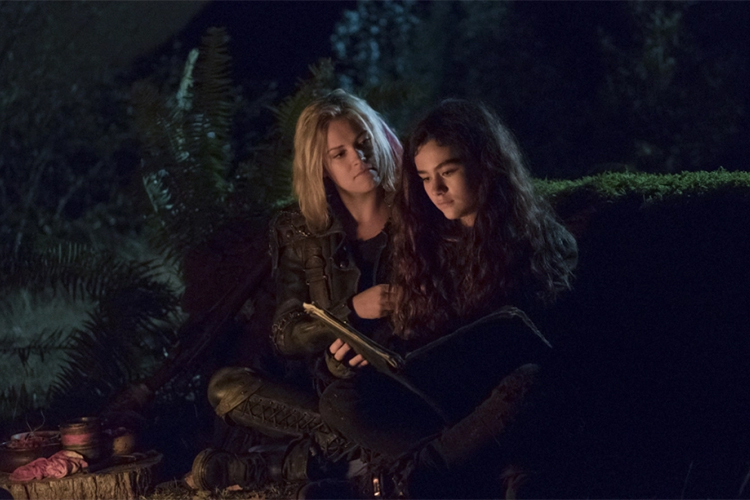 The 100 returns April 30th at 9/8c on the CW.